The Lesser Slave Lake Bird Observatory has articles submitted for publication in peer-reviewed journals based on research conducted by the society. These articles will be available on this page as pdf documents. Other relevant articles relating to the work of the Canadian Migration Monitoring Network and member stations will also appear on this page. Priestley, L., C. Priestley, D.M. Collister, D. Zazelenchuk and M. Hanneman. 2010. Encounters of Northern Saw-whet Owls (Aegolius Acadicus) from banding stations in Alberta and Saskatchewan, Canada. J. Raptor Res. 44(4):300–310. The LSLBO produces technical reports based on current monitoring and research results. All current technical reports will be made available here as pdf documents. Krikun, Richard. 2010. Fifteen Year Migration Monitoring Technical Report 1994 to 2008. Linfoot, Nicole. 2011. 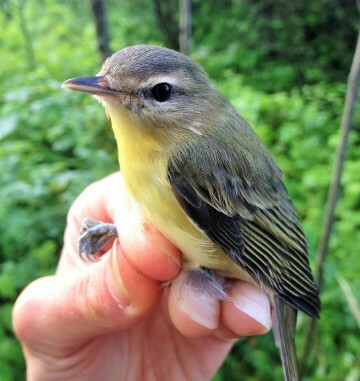 Determining the Effects of Local Habitat Succession on Abundance and Species Diversity of Birds Captured at the Lesser Slave Lake Bird Observatory over 18 years of Standardized Mist-netting. The Canadian Migration Monitoring Network- Réseau canadien de surveillance des migrations. 2012. The Canadian Migration Monitoring Network – taking the pulse of Canada’s migratory birds, Picoides.